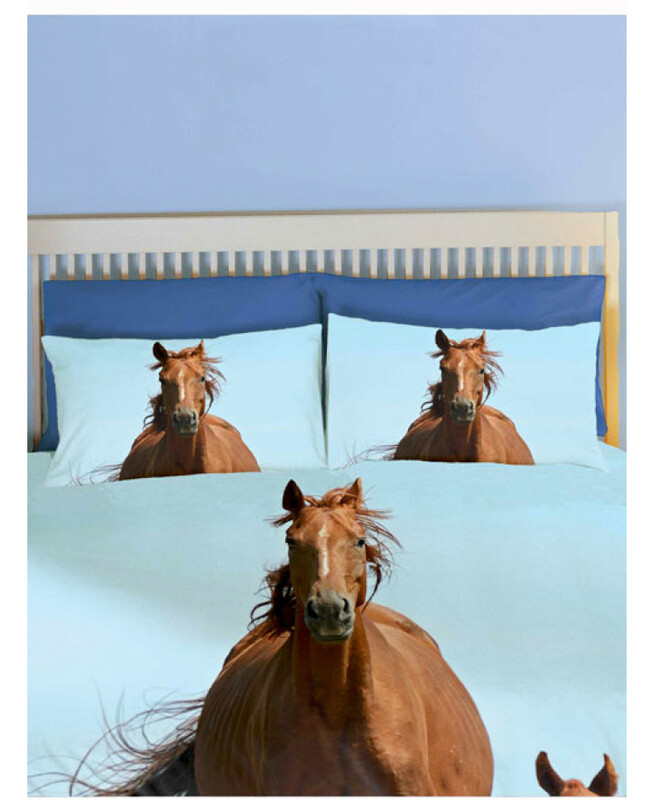 Horse and pony mad children will love our exclusive Follow My Lead double duvet cover set. 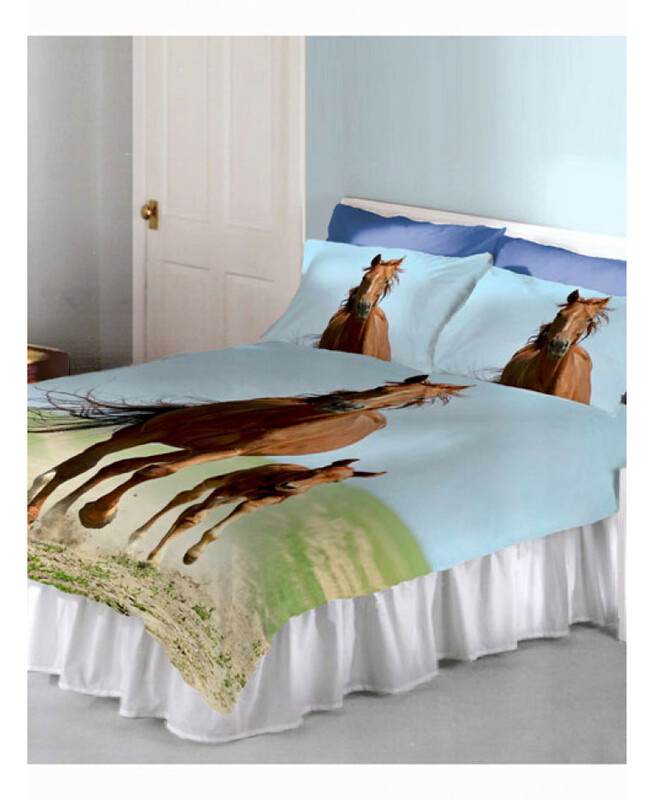 The design features a fantastic photographic style image of a mother horse and her foal galloping through a field. 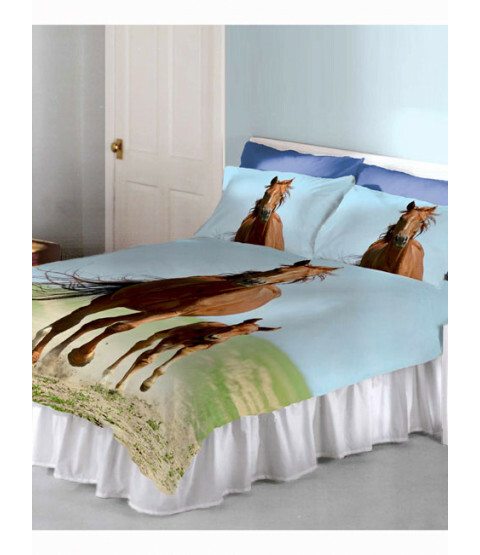 This bedding set is also available in single and can be machine washed and tumble dried.